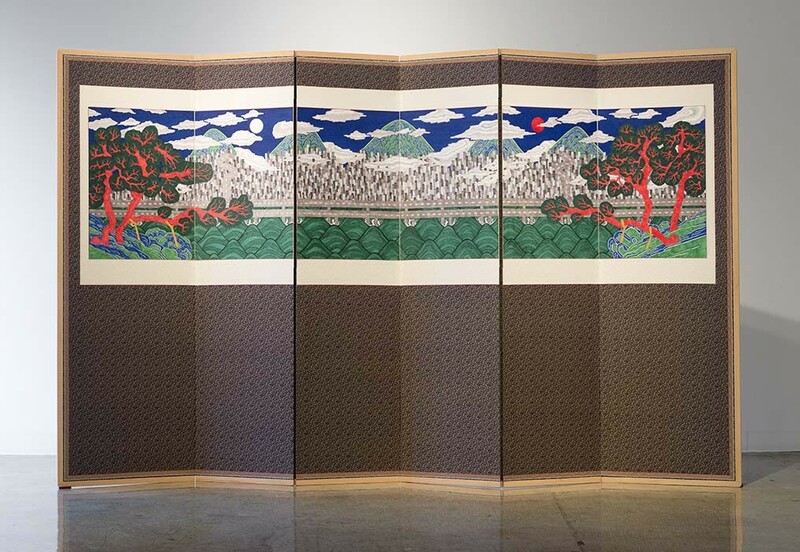 This work is based on perhaps the most iconic of South Koreas historical paintings. 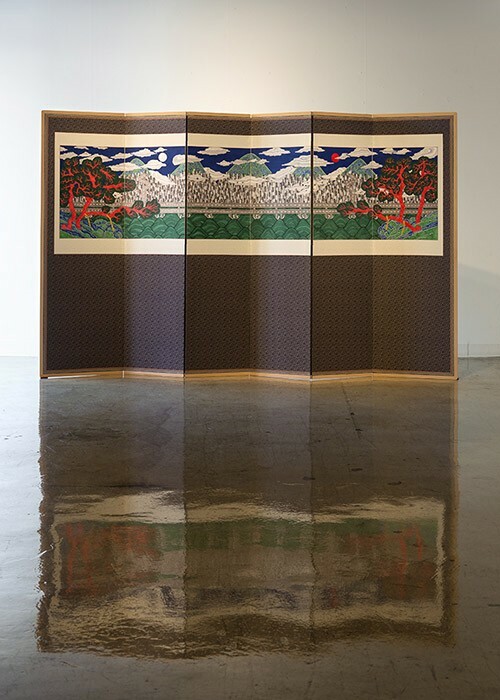 Commonly presented on folding screens, the painting of the Moon, Sun and Five Peaks (a painting with no one specific author or exact visual outcome, but reproducible by all) is a homage to the pristine nature and culture of Korea. Today the painting can be found almost everywhere, on street walls, postcards etc. In our version we have tried to respect the original motifs while making contemporary updates. Blocking the once stunning landscape is today a never-ending, countrywide mass of concrete apartment towers, highways and smog clouds. In addition, our version is painted with budget marker pens with the intention of reflecting the changed values in Korean society. The cheap paint will within some years start to fade away, just like most of the built environment.